Senior friendly laptops are key because the elderly use computers just as much as any other demographic these days. Whether they're conducting business or personal finance matters, communicating with people via e-mail or social media, or simply doing typical research, a laptop is important and they get great use from it. For this reason, laptops must be outfitted to accommodate the elderly. Whether they've lost their hearing, vision or don't understand complicated computer applications, senior friendly laptops make it easier for them to get used to it. Companies benefit by selling products that everybody can enjoy, no matter their age. The elderly benefit from being able to keep up with the times; this makes the situation a win-win. Many laptops come equipped with specifications that, while not entirely intended to benefit the elderly, do just that. For instance, there are many touch screen, tablet and laptop hybrids that make it seamless for a person to flip through menus with the touch of a finger. This allows an elderly person to not have to understand the inner workings of software and operating systems. If a person can simply touch the screen, they're well on their way to navigating these types of senior friendly laptops. These screens are often high resolution with sharp picture and video capability, which can also account for someone's poor vision. 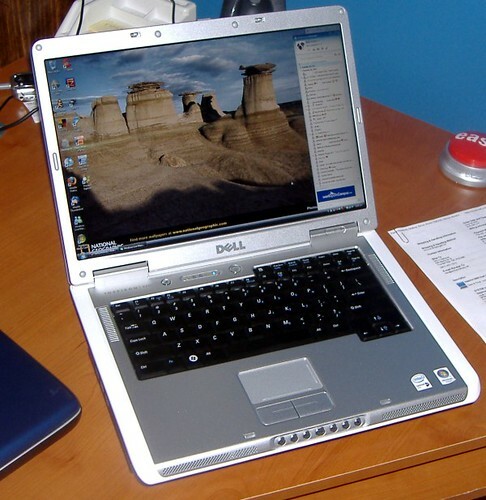 The size of the screen is very crucial to a person seeking a laptop, such as Dell laptops, that is senior friendly. If the screen is wide and tall, a person whose vision isn't as great as it used to be can still see the information clearly and navigate all menus. Do some research on the sound cards equipped in the laptop of your choice. You may find that it's not adequate to accommodate a person who has suffered some hearing loss. When browsing reviews, the sound system should be one of the key selling points. Outside of the sound card, it's important to understand just how loud the speakers on a laptop project. Some laptops simply don't project very loud, so even if the sound quality is rich, this laptop wouldn't do much in the way of accommodating seniors suffering hearing loss. With today's technology, finding a laptop for your needs or the person you're buying for should be fairly simple. There are so many choices available that it's not too hard to find a laptop that will work for your parent, grandparent, or aging relative. Additionally, laptops are a great way to keep in touch— especially if it comes with a webcam that makes chatting online easy.